We're back from yet another Riverdale hiatus. 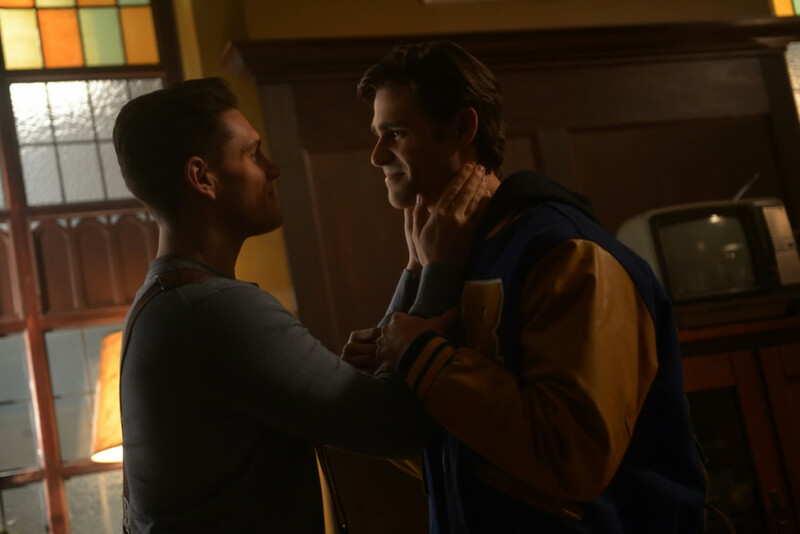 There are still so many loose ends to tie before the season ends but our biggest predictions: *SPOILERS* Edgar is really Alice Cooper's 'dead' son, Charles. The Gargoyle King is possible Penelope or Gladys. 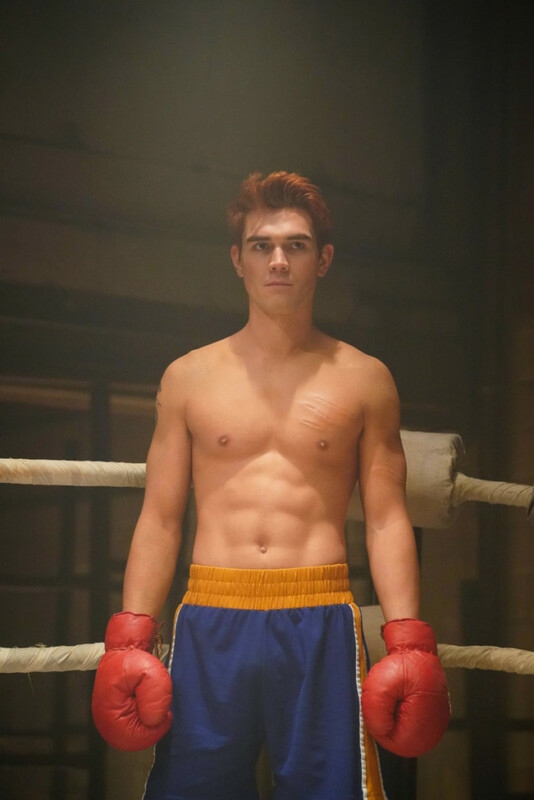 Archie is going to ruin his music/football career with his boxing career. Hal's gonna get sprung from jail and ruin the party for everyone. Jason Blossom is coming back cause no one dies in soap operas... and this, my friend, is one heck of a soap opera. Like our beautiful voices on this podcast? Subscribe! The students of Riverdale have a flare for the dramatics and they channel it into a performance of Heathers: The Musical. Director, Kevin, taps Farmie Evelyn as Co-Director and she uses her new platform to slyly recruit people to her cult. The musical numbers span throughout the episode and Cole Sprouse even joins the Big Fun this time. Archie and Josie address their romance via duet and Cheryl and Toni mend their troubled relationship with a big musical number. But the most stirring part of the episode is the final scene where Chad Michael Murray's Edgar Evernever is revealed giving one creepy standing ovation with a slew of other Farmies in white. 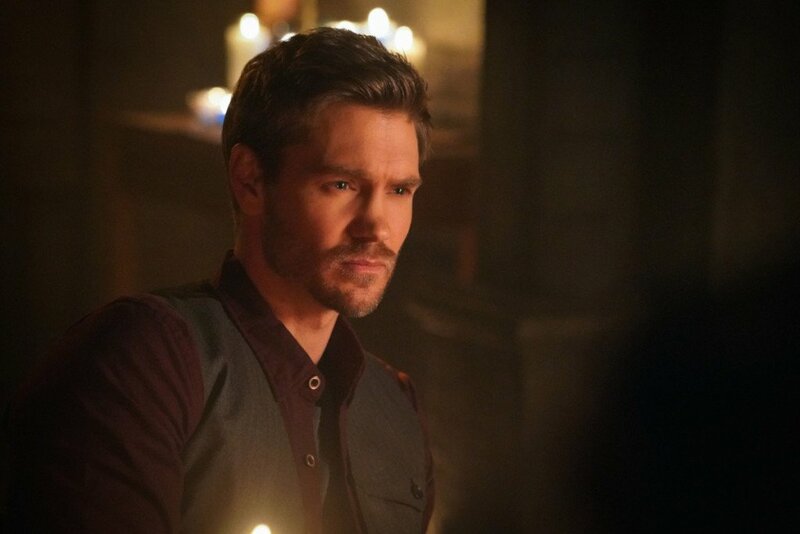 Who is this mysterious cult leader and will Riverdale succumb to his charm? 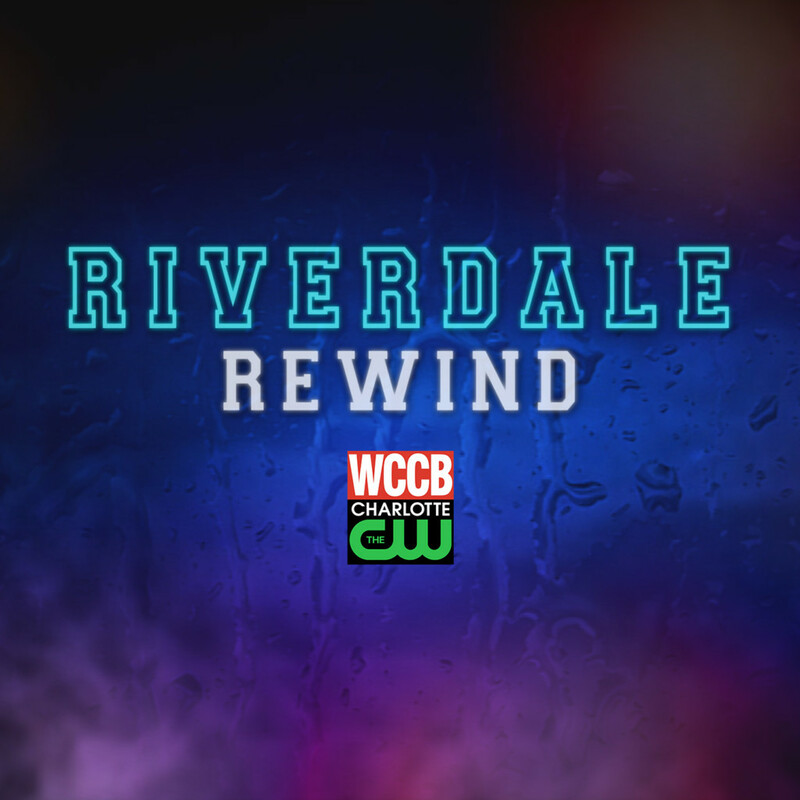 Just Jess and Nomi break down Riverdale season 3 episode 16 on an all new Riverdale Rewind podcast. 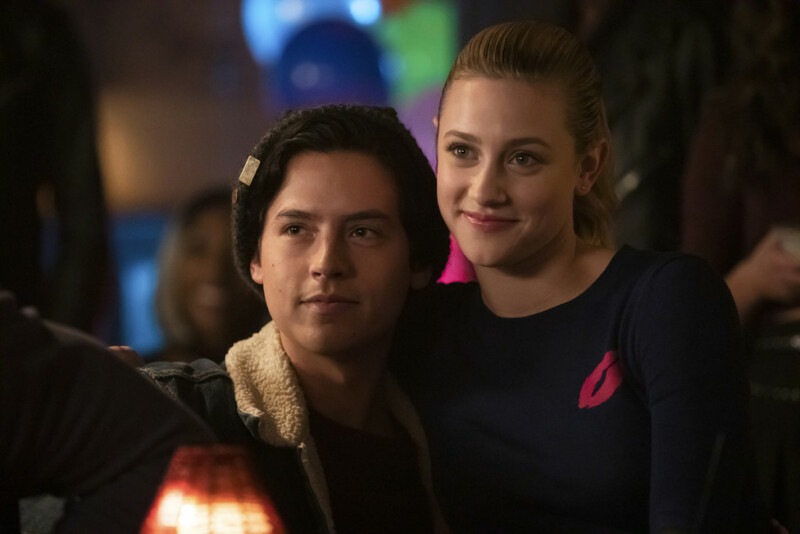 Heartbreak and drama loom over Riverdale...but what's new, really? Pretty Poison power couple, Cheryl and Toni, are on the rocks. Veggie has spoiled. Reggie tries to appeal to boss babe Veronica who just is not having it today. And Jughead has learned about his mob mom's true reason for returning to the 'dale. With only 6 episodes left in season 3, lots of drama is still yet to unfold. Season 3 Episode 15 show the Jones now keeping up with all the others Jones and moving into the Cooper compound. Creepy, yes. And they even give Betty an invite to stay in her old room. Nope. The town celebrates FP's 50th birthday (aging like a fine wine, FP), but our heartstrings were tugged when Fred Andrews, played by the late Luke Perry, welcomed FP to the neighborhood. All his scenes seem to feel so poignant now. Tuesday, on The View, Cole Sprouse revealed that they will work Luke Perry's passing into the narrative of the show. And guess what? *Surprise! * Next week is a musical episode! Just Jess's faaavvorriitte (sarcasm). Instead of talking through her problems, Cheryl charges her HBIC battery by staging a musical version of Heathers. I guess sometimes you just have to express yourself through the art of song. Riverdale Rewind podcast would like to send condolences to the family, friends and fans of Luke Perry. We were never lucky enough to meet him, but from all accounts he sounds like a terrific human being and will truly be missed. In Riverdale Ch 49: Fire Walk with Me, we're introduced to a creepy new kid, Ricky. If there's one thing I've learned from ample tv viewing it's that you never trust a rogue kid. 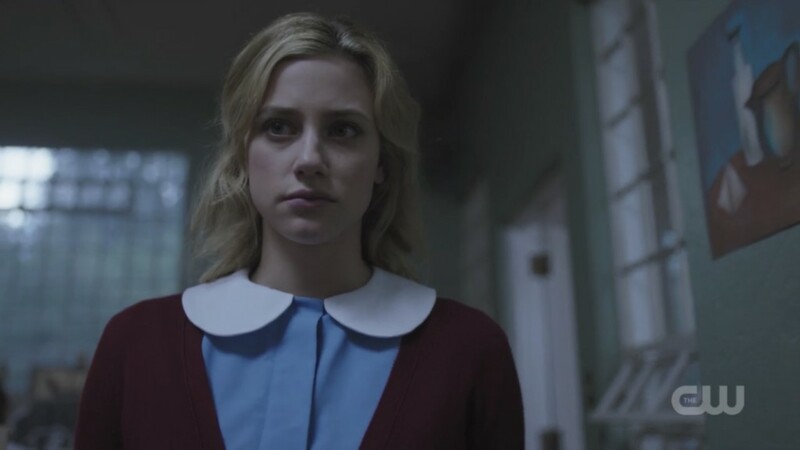 We see Kevin go deep into the land of the Farmies... (OK who is making us "Farmies" shirts, cause that's one heck of a nickname) and Betty goes full Dark Betty *SPOILERS* torching her nightmare on Elm St home and showing some interest in the mystical happenings of the farm cult. Kevin and Evelyn turn to blackmail to try to prevent Betty from publishing a scathing article about the farm. Will she publish it and risk letting her family secrets out? 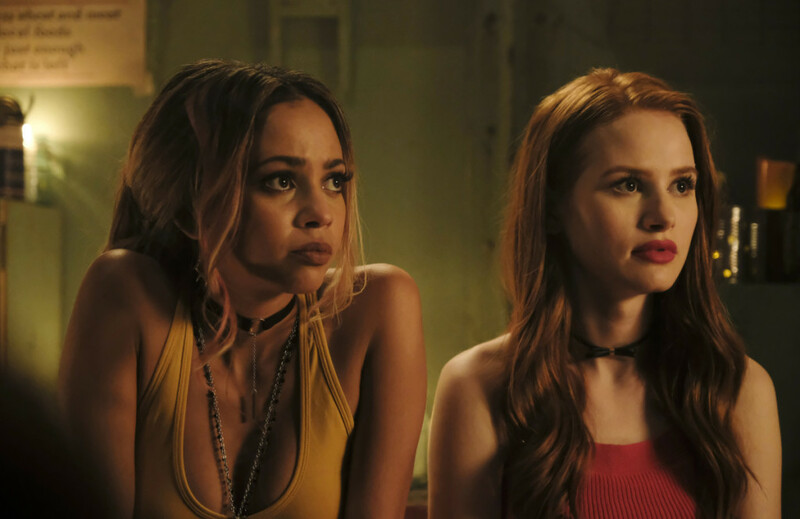 The Serpent/Gargoyle Gang and Pretty Poisons stir up drama and there seems to be looming trouble in paradise for Toni and Cheryl. Will this couple last the season? And Veronica turns her *not so* secret speakeasy into a casino as the battle for boss between Hiram and Gladys heats up. 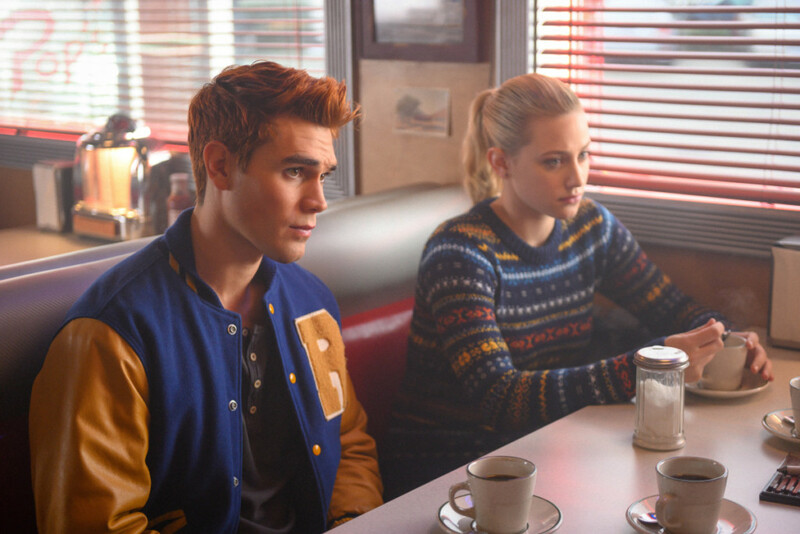 How long will Gladys and Jellybean keep their secret mob life from FP and Jughead? Just Jess and Nomi break it all down on the latest episode of Riverdale Rewind. Subscribe now! Ok, we were right... Tall Boy was not the real Gargoyle King. The Midnight Club is forced to reunite before Sierra McCoy and Tom Keller's wedding to finish the ascension night they started decades ago. This episode reveals yet ANOTHER weirdo willing to don the mask of the gargoyles but is it too early in the season wrap up this mystery in a pretty bow? Is there still another Gargoyle King from days of yore at large? Perchance... it is Bizarrodale after all. Toni and Cheryl set their sights on helping Kevin and Moose become an out couple and cause some chaos along the way. And Cheryl sets Toni up with a new gang, the Pretty Poisons (sigh). I would have rather seen her go back to the leathered arms of the Serpents. Plus things between our two favorite songbirds, Josie and Archie, heat up. But their romance could be short-lived because actress Ashleigh Murray is set to lead the Riverdale spinoff, 'Katy Keene,' in another city. (Admittedly, I think it will be nice for her character, Josie, to have more content to work with, so I'm happy to see her bounce.) And in an interesting twist, Jughead's mom, Gladys, and sister, Jellybean, have returned to town to stay and presumably stirr up trouble with the Lodge family. Side note: Where was FP's longterm beau, Gladys, during the Midnight Club's shenanigans? New Riverdale episode means a new PODCAST episode of Riverdale Rewind! Listen, we love Archie. But sometimes, he's kinda a dummy. 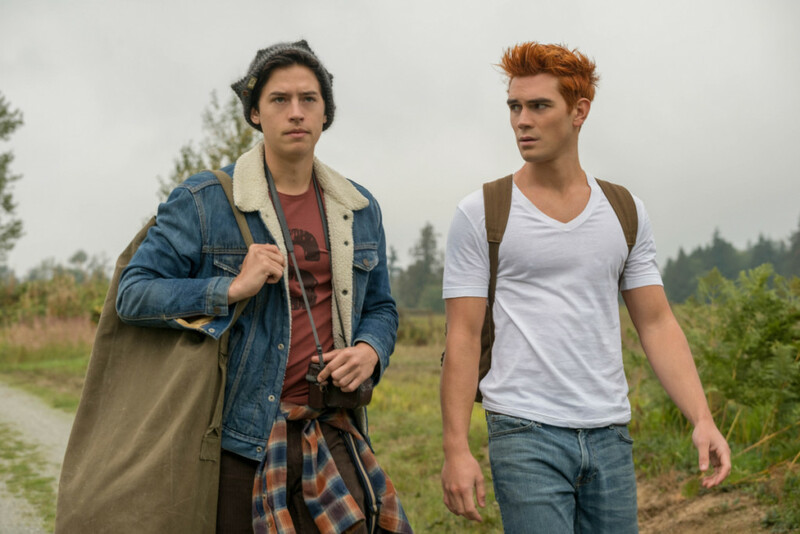 *SPOILERS* Archie and Jughead's incredible journey continues on as they totally blow it at the farm house. We uncover the identity of the Man in Black... (I mean, who didn't guess this one?) Veronica raises the stakes in an attempt to keep La Belle Nuit afloat. Meanwhile, Betty is still clutched in the grasp of the Sisters of Quiet Creepy Mercy. 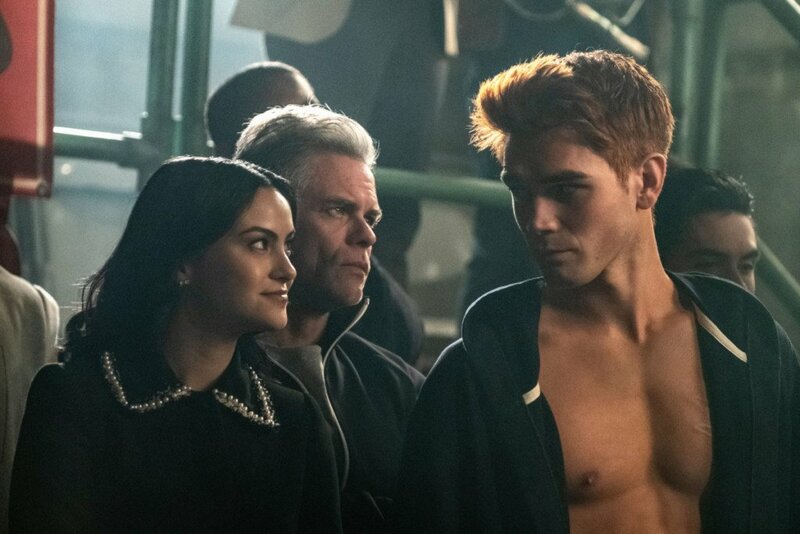 Just Jess and Nomi try to unwind the tightly raveled mystery of the Gargoyle King on this week's episode of Riverdale Rewind. Subscribe now on iTunes, Stitcher and GooglePlay. The wild ride continues *SPOILERS* as Archie hits the road, Veronica lands herself behind bars and Betty bunks up with the Sisters. Just Jess and Nomi try getting to the bottom of what connection Evelyn Evernever has on all those suspicious seizures happening in Riverdale. Plus Nomi stirs up the haterade with a suggestion about Bughead. 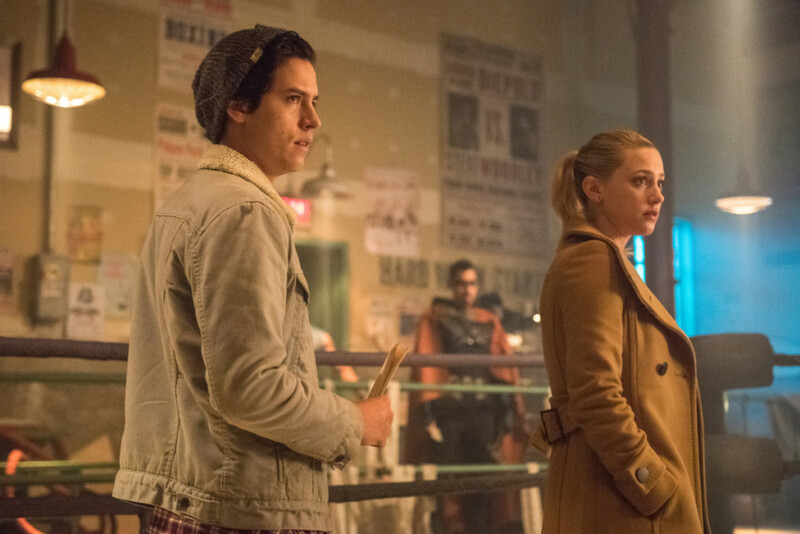 Riverdale Rewind: CH 40 "The Great Escape"
Four thumbs up from the very biased Riverdale Rewind hosts, Nomi & Jess, for Ch 40, "The Great Escape." Strong writing deepened the mystery of how expansive the Gryphons and Gargoyles game truly is. Just Jess and Nomi dig into who could be the Gargoyle King, what new gang Joaquin is joining, if the Black Hood is returning in a future chapter and why Veronica is only selling mocktails and expecting make a profit. So many questions until Riverdale returns from its Thanksgiving hiatus on November 28th.